I had a stash of great fun fabrics that I wanted to use for one of my sewing projects. 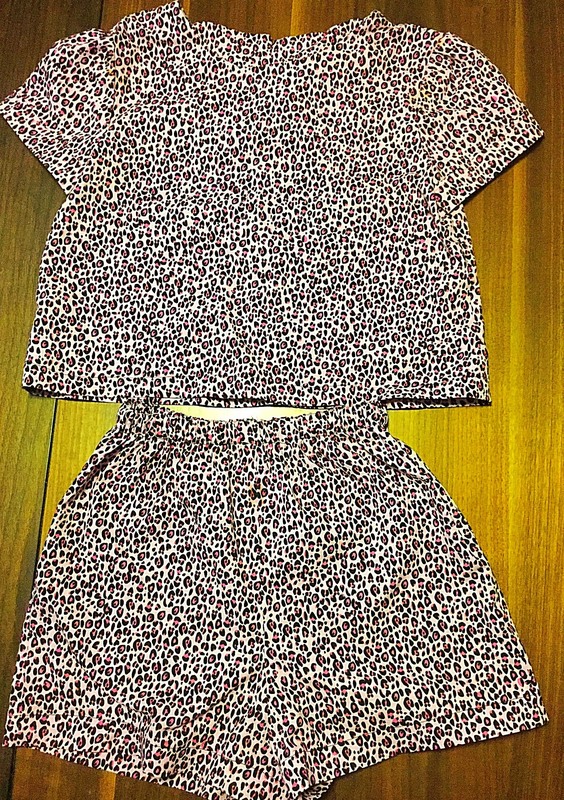 The fabrics consisted of pink leopard print and one with bright bold colors that my daughter will love to wear. 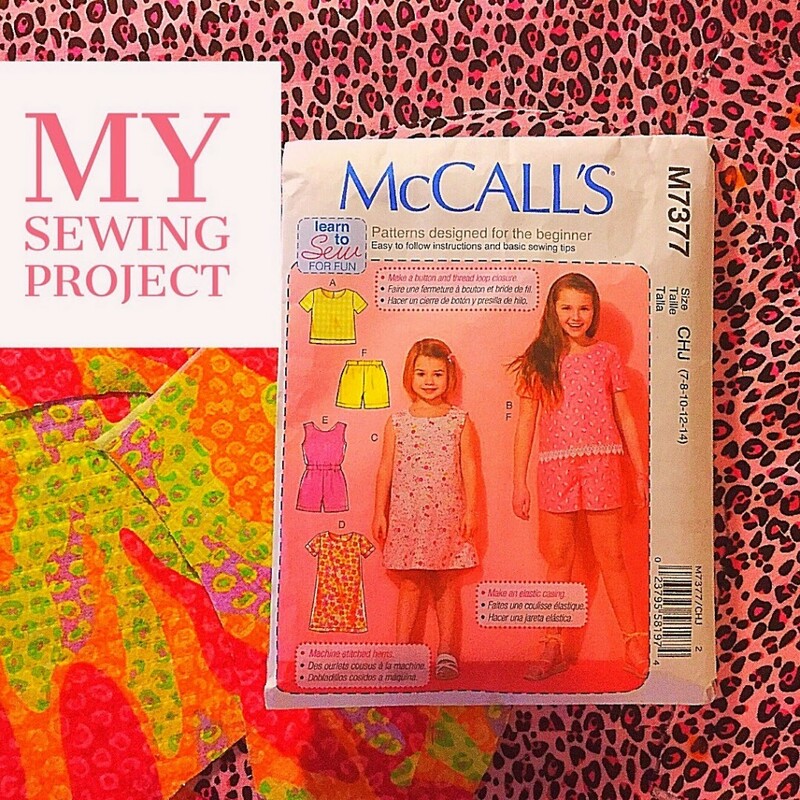 While looking through my collection of sewing patterns I came across McCall’s M7377 Girls pattern that I had for some time that I wanted to put to great use. 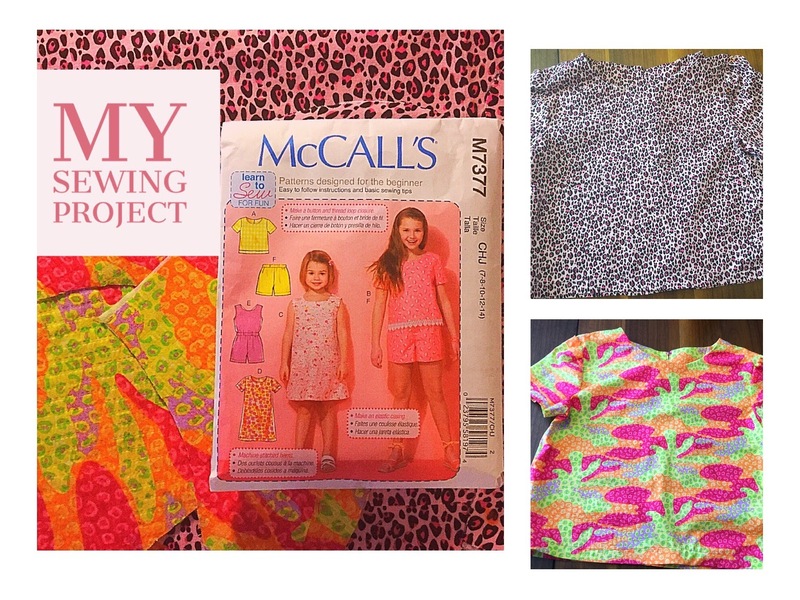 It’s a “learn to sew” pattern perfect for beginners who have an interest in making girls clothing or those who have little to no time to sew. A quick sewing project that will take you no time to create. Bright bold fun fabrics are perfect for this sewing pattern! 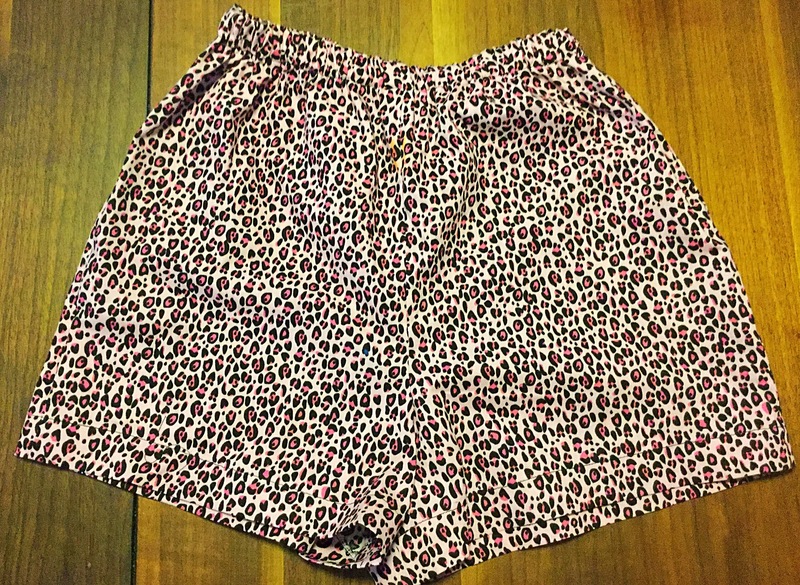 As you can see, I made a pair of shorts in leopard print. This took me less than an hour to sew. Sewing the shirt took a little more time just about 2 hours since there were more pattern pieces involved. It should take about 3 hours to sew a pair of shorts and a shirt. Add a little more time if you are rusty and a true beginner with sewing. Suggested fabrics: Medium to lightweight fabrics such as crepe, chambray, cotton, cotton blends, denim, and linen. Basic Sewing Supplies | What you need to get started. Copyright 2019 by Innovative Sewing. Find out about new tutorials. You will start getting our newsletter in your email in the next few days. Enjoy!